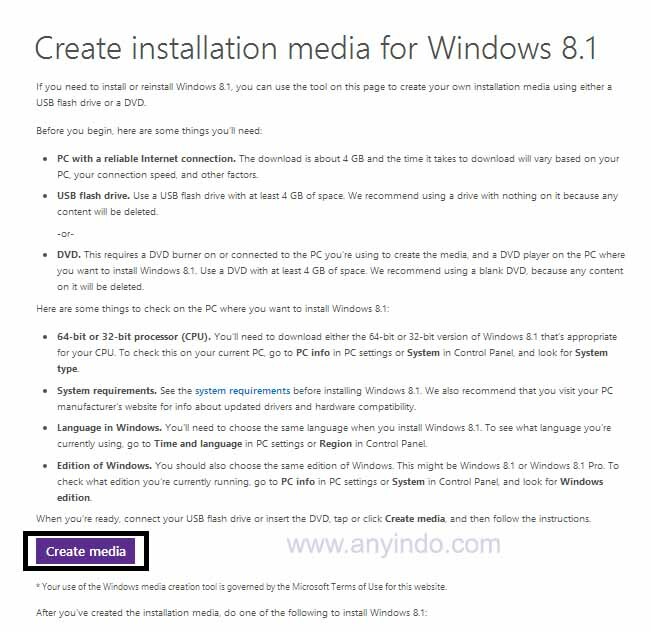 AnyIndo - In this article we are going to share an article it is Free Download Windows 8.1 Pro Genuine Legally. 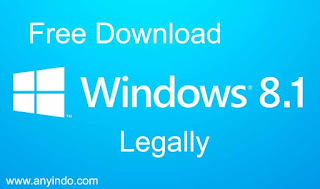 Download free Windows 8.1 Pro legally without a product key? Who does not want it, certainly all waiting for this moment,right ? 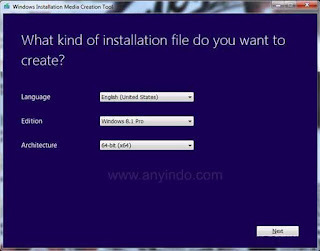 Installation via Windows Media Creation Tool, Microsoft gives freedom to users who want to download or create a bootable USB for Windows 8.1 operating system. Windows 8.1 is itself a development of Windows 8 that could get a lot of criticism because of significant changes to the metro style. 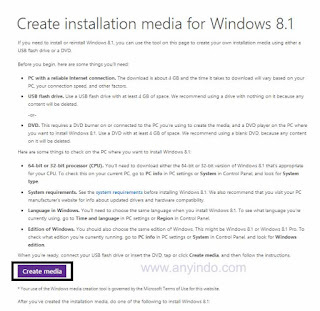 Visit Microsoft's website, and select Create Media. After that download the application requested by Microsoft. Run the application, to enter the page as shown below. 8.1 Select the type of operating system you want, then select the language and architecture that you want to use. 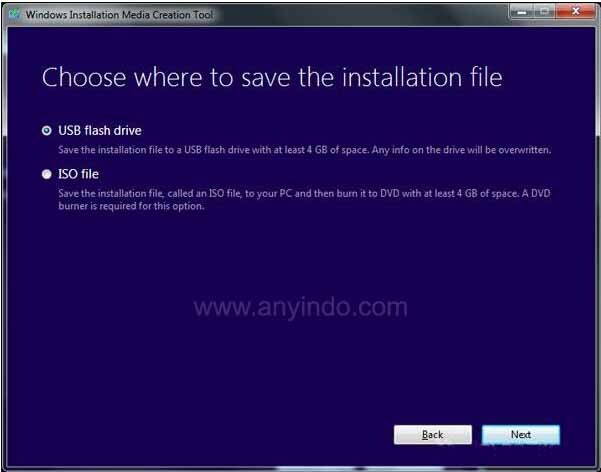 Select a file you want to download, you can simply save it in the USB to create a bootable USB. In addition you can also save in the form of ISO. Make sure you have a enough storage of 4GB and stable Internet. Isn’t it easy, right? 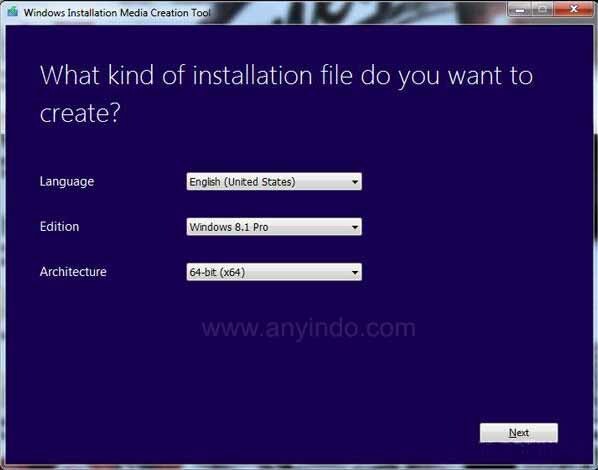 You can use this method to download Windows 8.1 Pro anytime. Do not forget to make sure your internet is stable and if using USB, it is USB 8 GB. 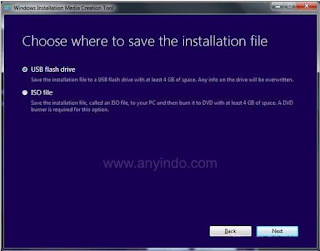 That's all about Free Download Windows 8.1 Pro Genuine Legally. If you still have any question related to this article, you can leave comment bellow. If we are not busy, we will reply it as soon as possible. 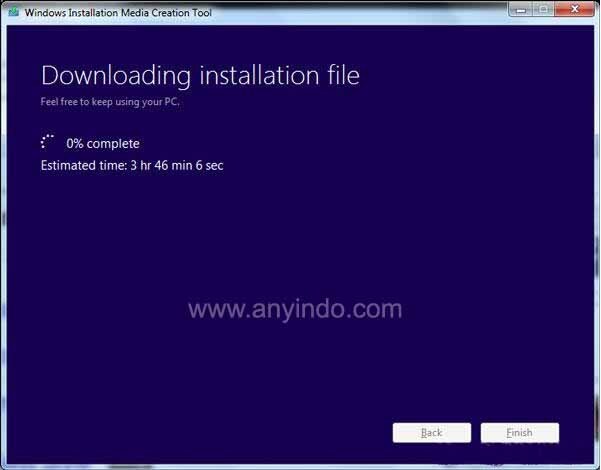 Belum ada tanggapan untuk "Free Download Windows 8.1 Pro Genuine Legally"